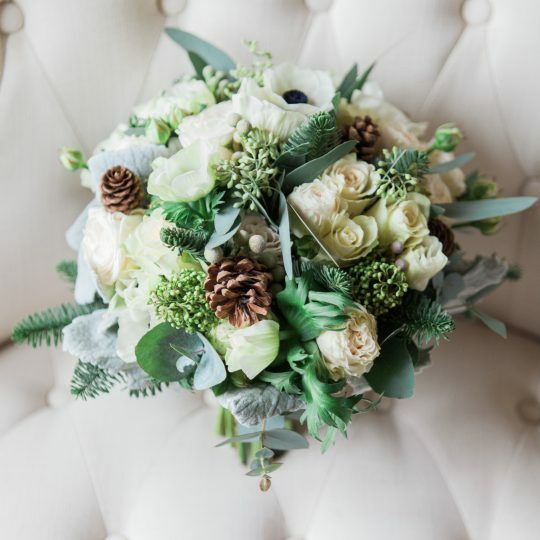 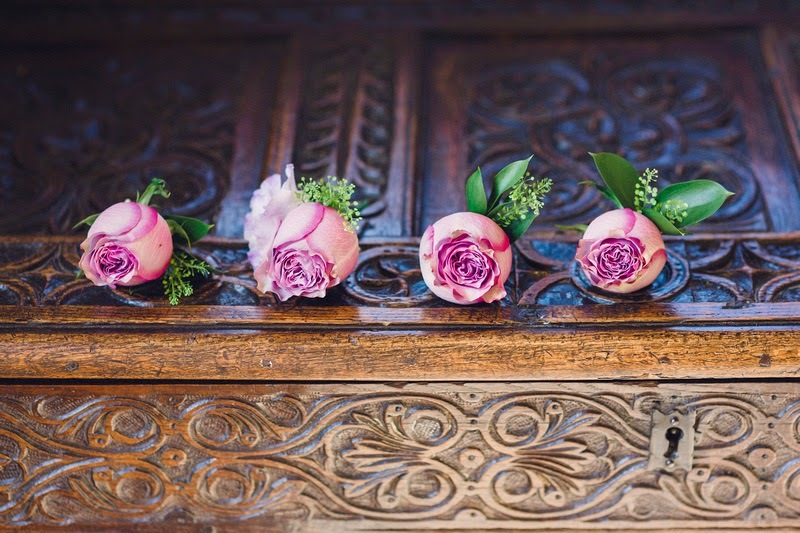 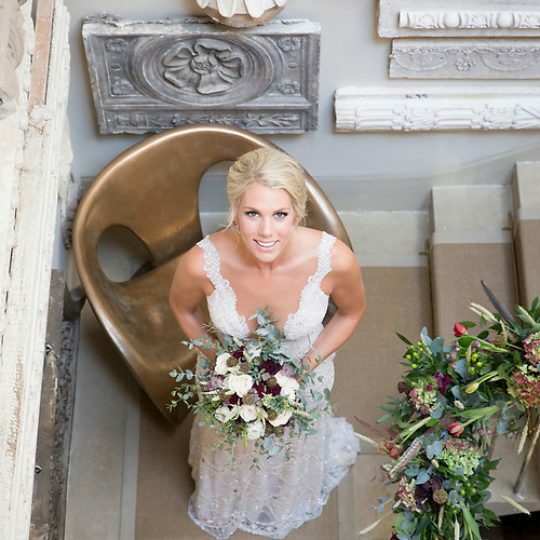 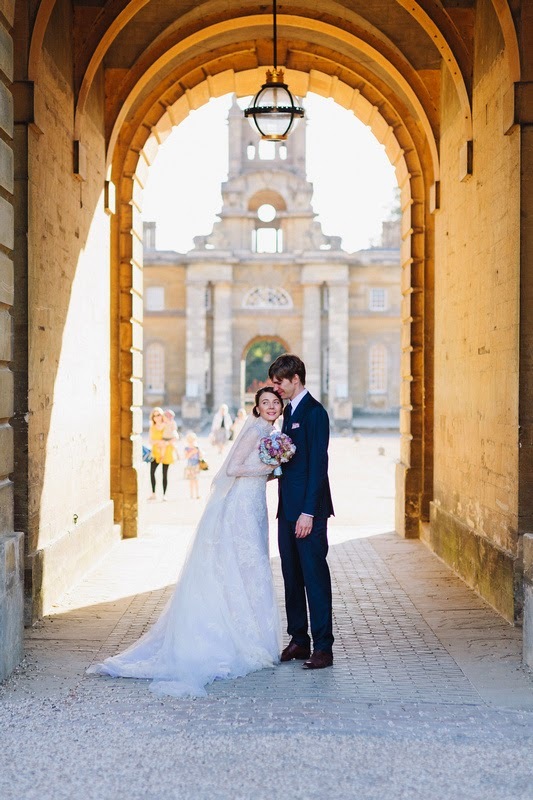 Daria and Michael's wedding flowers at Blenheim Palace, Oxfordshire - Joanna Carter Wedding Flowers | Oxford, Oxfordshire, Berkshire, Buckinghamshire and London. 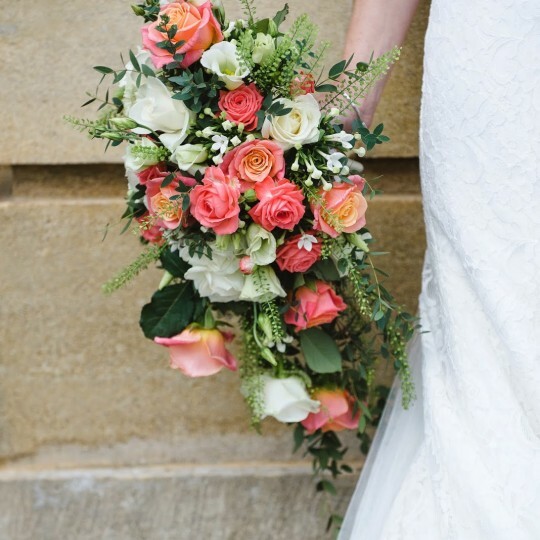 All these wonderful photos were taken by Lisa from www.lisadawn.co.uk who captured both venues and the days events brilliantly. 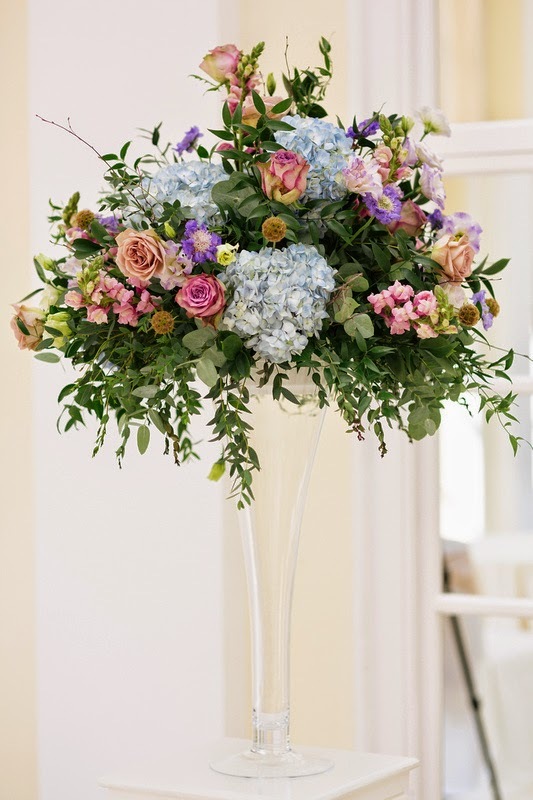 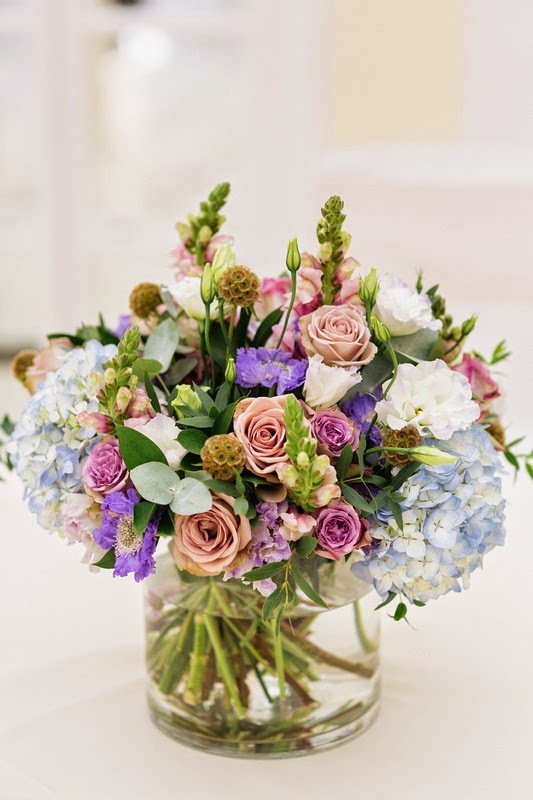 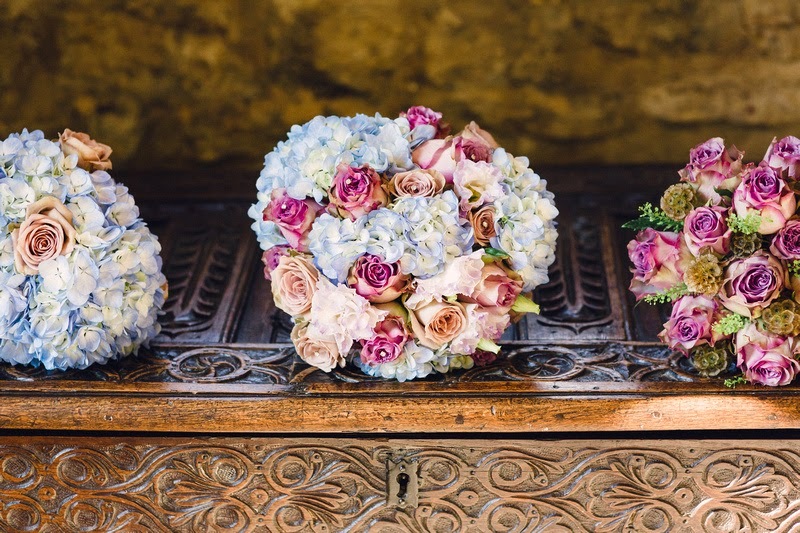 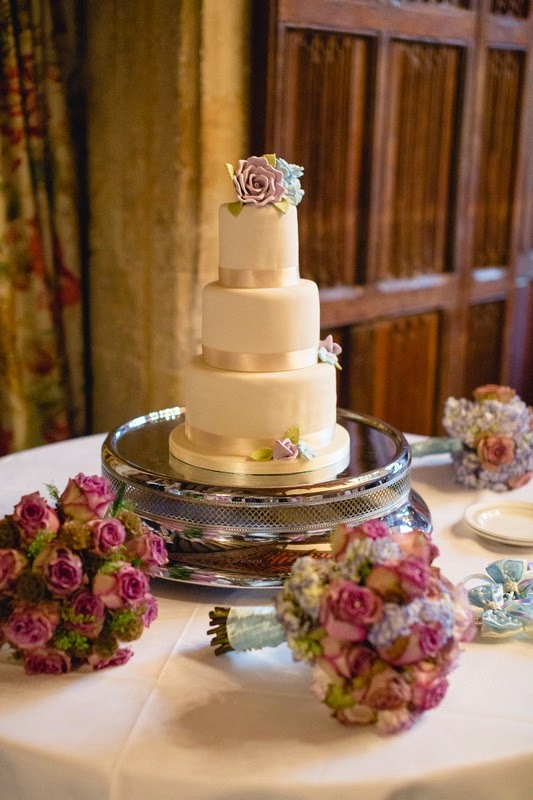 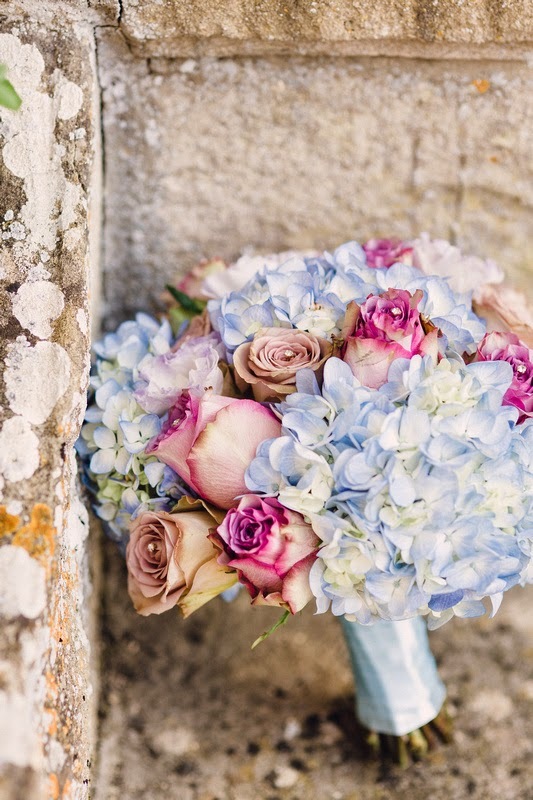 Daria chose a palette of blues and lilacs for her wedding flowers so we used a mix of hydrangeas, roses and lovely scabiosa bittterball to add the hint of cappuccino colour she was keen for us to include. 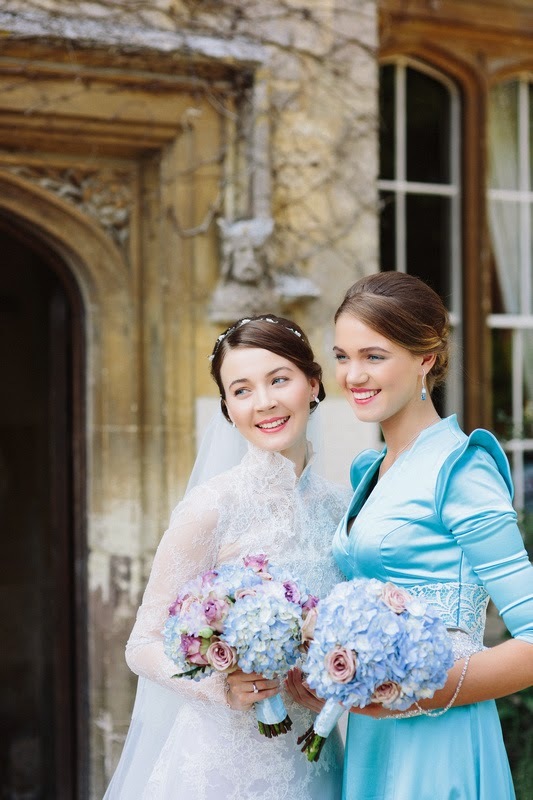 Daria wanted her two bridesmaids to have contrasting bouquets as they were wearing their own dresses so we tried to make them co-ordinate with her bouquet and yet be quite different. 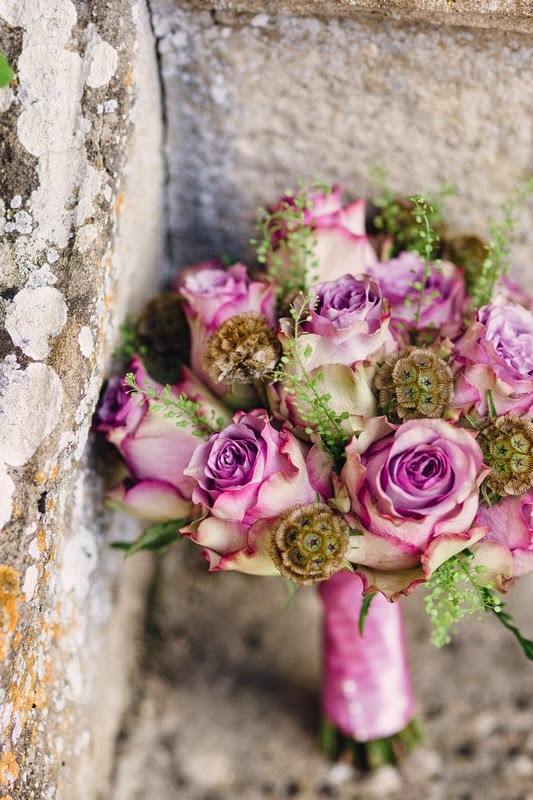 The buttonholes were lovely deep lavender Dolcetto roses. 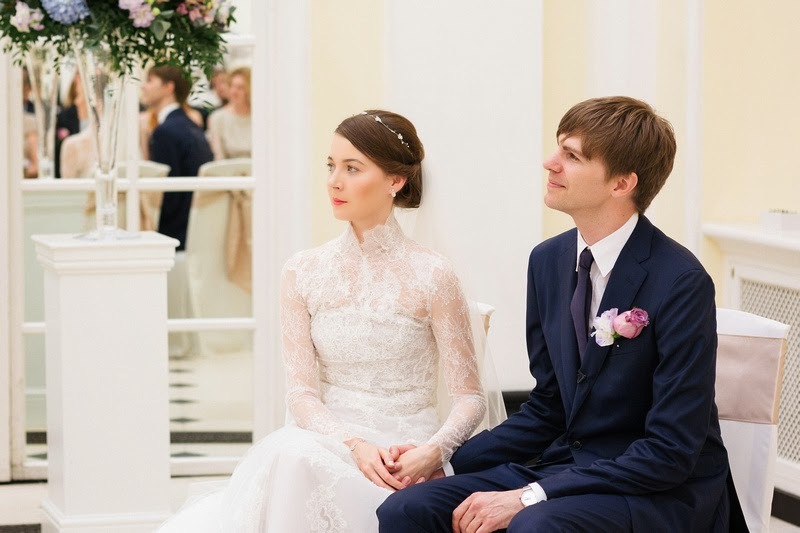 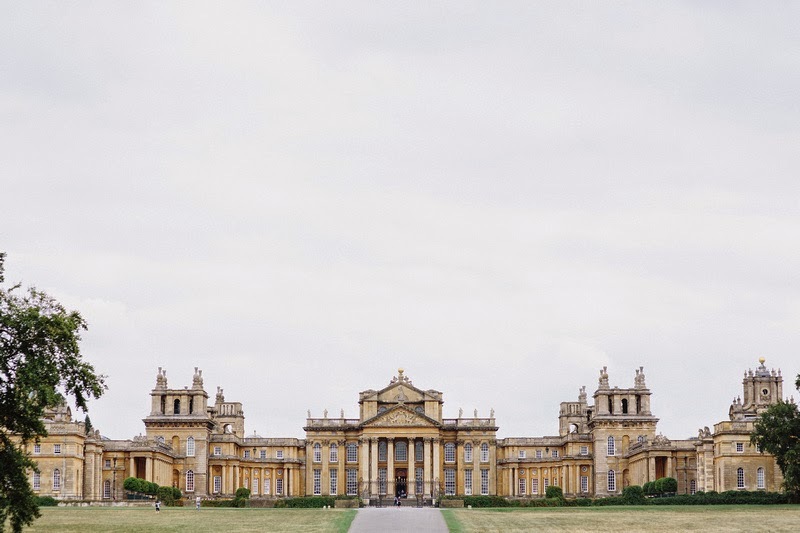 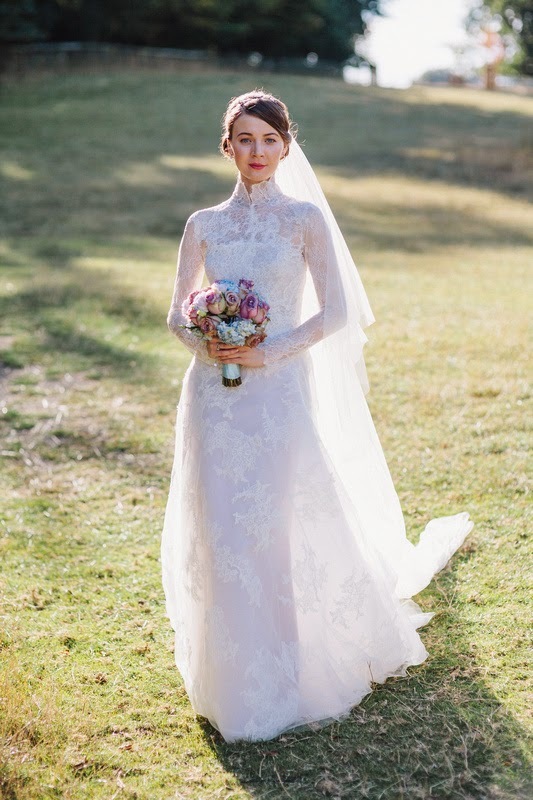 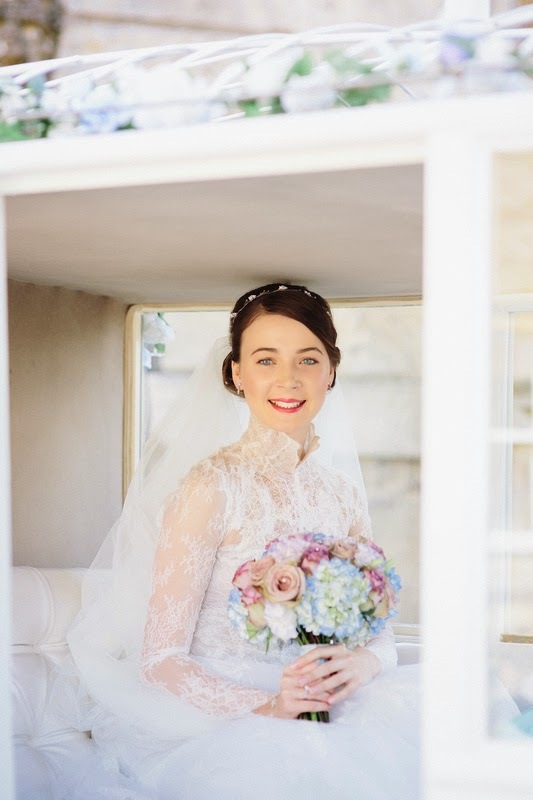 Daria made the journey from her hotel to the lovely Orangery at Blenheim Palace in a pretty white carriage. 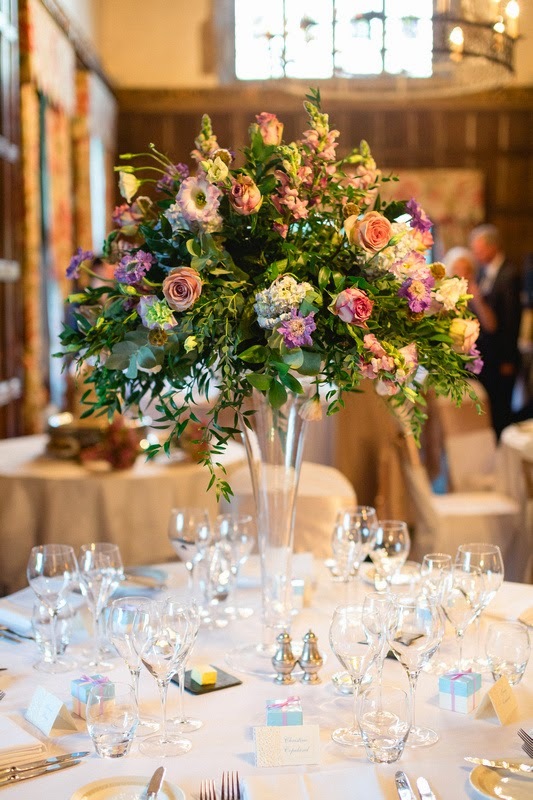 In the Orangery we placed large flute vases at the top of the aisle, filled with a mix of lavender, blue and cappuccino flowers and a lower cylinder vase on the registrars table. 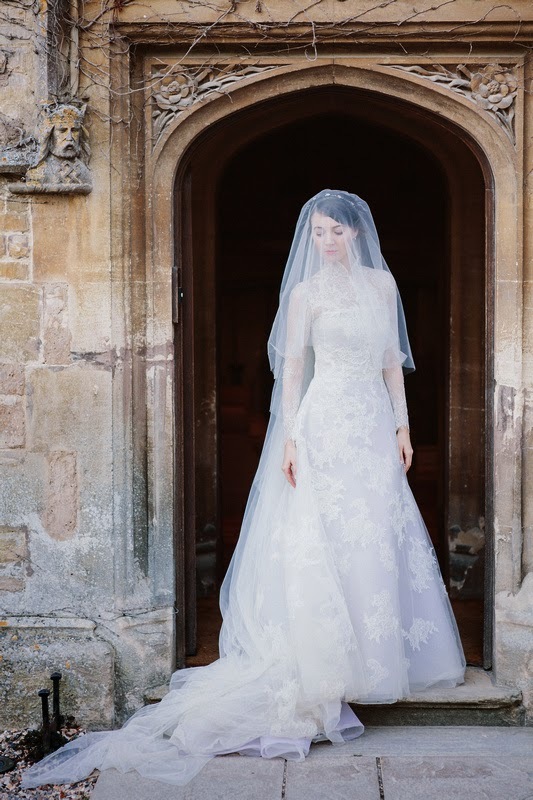 Following the ceremony Daria and Michael left for Weston Manor Hotel for the reception.